When you have a commercial property, your plumbing needs to be checked on a regular basis. Because of the number of people that use your property on a regular basis, you are going to have more issues with commercial plumbing than you would have with residential plumbing. Having a professional take a look at your plumbing issues before they become catastrophic can save you hundreds or even thousands of dollars. Here are some signs that your commercial plumbing system might be in trouble. When your water bill is suddenly much higher, there is a big chance that there might be a leak in your pipes. This leaking water could be the cause of your newly found high water bill. Commercial plumbing contractors can take a look at your pipes and see if a sewage leak might be why you are experiencing these higher water bills. If there is one thing that rats love it is a nasty odor. The nasty odor from a sewage leak is something that could attract rats for the first time into your commercial property. This is something that will not only show that you might have a plumbing system issues but it could also affect your business. 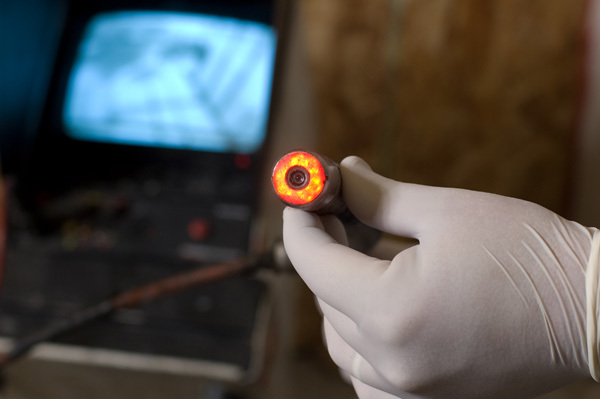 It is important to see if you need any sewer line repair when you have rats in your commercial property. If you are experiencing a lot of new landscape growth around your property, you may be dealing with leaking pipes. This may be something that could be fixed with trenchless sewer repair, it could be something more advanced. If there hasn’t been a drastic change in precipitation, you should have your pipes looked at to see if you have a leak that is causing this new growth around your property. While this may be something that you could find on your own, it is a good idea to have a professional take a look at your new growth to see if this is due to a plumbing problem. Cracks in your foundation are never a fun thing to have to deal with. If your commercial property is on unstable ground or a steep grade, this is usually going to be the reason why you are experiencing cracks in your foundation. However, if you are on very stable ground, extra groundwater could be a big reason why there are cracks in your foundation. It is easy for water to find its way into cement foundations. It can then freeze and expand causing cracks. Having a professional take a look at this issue can help you determine whether or not you have a bigger plumbing issue on your hands. When you are dealing with leaking sewage, you are obviously going to have some odors that are not very nice. If you are constantly noticing that there are nasty odors in or around your commercial property, you may have a problem with leaking pipes and sewage in your commercial property. Getting this fixed early on will eliminate these odors and can help you save a lot of money in the long run by catching a large plumbing problem early on. If you are dealing with wet floors in your commercial property, there is probably a leak that is coming to the surface. You may also have issues with your sinks or toilets leaking that can be seeping into other rooms in your commercial property. The faster you take care of wet floors, the easier it will be avoid bigger plumbing problems. A lot of times, large clunking or screeching noises can be caused by plumbing pipes that are failing. It is important to not ignore these sounds. Instead, explain these sounds to a plumbing professional and let them hear them for themselves. 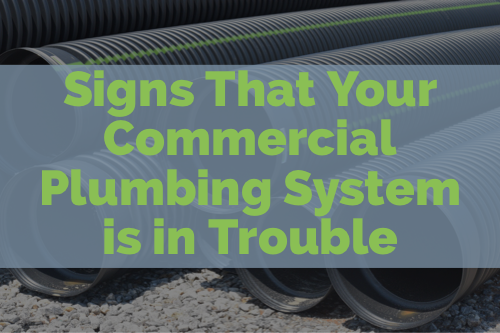 These are just a few of the many signs that could help you know if your commercial plumbing system may be in trouble. It is better to heed these warning signs early on and take care of these issues before they become catastrophic.